As we hit the peak of summer, and its record-breaking temperatures, it’s essential to maintain a regular practice of wearing sunscreen. Your skin will thank you in the long run, but a good sunscreen will also create a barrier for the immediate effects of UV rays. Sunburns, especially for anyone with fair skin, can raise your risk level for a few forms of skin cancer. Also, more people are diagnosed with skin cancer each year in the U.S. than all other cancers combined. The best way to avoid encountering any form of skin cancer is to stay out of the sun in general. If you want to enjoy the summer, that’s easier said than done — so you need some sunscreen that’s effective. Everyone’s skin is different, and sunscreens that work wonders for some people might cause breakouts for others. However, there are some consistent factors you should look out for when selecting a sunscreen. 1. Why is it important to have a good UVA sunscreen? One out of every 5 Americans will be diagnosed with skin cancer by the time they are 70. Developing a daily habit of applying sunscreen with at least SPF 15 can reduce your chances of basal or squamous cell carcinoma by about 40 percent, and of melanoma by 50 percent. There are several types of damaging ultraviolet light, but the main culprits are UVB and UVA. UVB rays contribute to immediate sunburns, which can raise the risk of cancer. Because they are partially absorbed by an ozone layer that is rapidly depleting, these risks will get exponentially higher in the future. Any SPF rating generally indicates protection from UVB rays, and those ratings can be misleading: SPF 30 is not twice as strong as SPF 15. The former protects against 93 percent of UVB rays, and the latter protects against 97 percent. 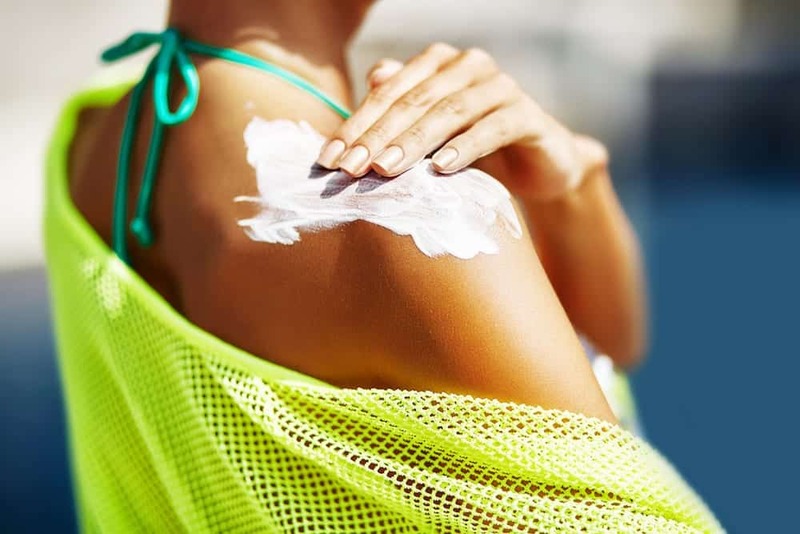 When in doubt, go higher than SPF 15 — it won’t prevent your ability to tan, unfortunately, from a dermatologist’s perspective, and it will protect you from damaging burns. Because they penetrate more deeply, UVA rays are much more destructive to your skin over time, creating wrinkles, reducing elasticity, and leading to premature aging. 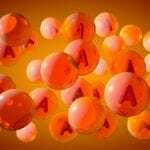 They are also a significant contributor to the formation of skin cancer. Because SPF protects specifically against UVB, it’s important to look for “broad spectrum” sunscreen, which gives you protection against UVA rays, because in the US, we don’t have a rating system for UVA protection—-yet. 2. Which ingredients available outside the US are essential for consumers to try to find in their sunscreens? The most commonly used FDA-approved UVA blocker in the US is Avobenzone, which is very unstable when exposed to sunlight. As a result, other photostabilizers must be added to make it more effective. It also covers a much narrower band of UVA than the European ingredients. There are a number of UV-absorbing filters available outside the US that have not yet been approved by the FDA for use: ecamsule (better known as Mexoryl SX), Drometrizole trisiloxane (Mexoryl XL), bemotrizinol (Tinosorb S, which appears on ingredient lists as bis-ethylhexyloxyphenol methoxyphenyl triazine), and bisoctrizole (Tinosorb M, or methylene bis-benzotriazolyl tetramethylbutylphenol). The last three are broad-spectrum ingredients, which, as noted above, can provide a much stronger shield for your skin against the sun. These are available in sunscreens outside the US. These are also easier on your skin. Because the molecules in these ingredients are larger, there’s less chance that they’ll penetrate further into your dermis, and therefore less chance that they’ll generate sensitivity or trigger any potential allergic reactions. 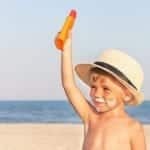 At the same time, using some of these elements reduces the need to combine many ingredients in sunscreen, and some of the formulas used in the U.S. are what cause heavier sunscreens to leave a white residue on your skin. Formulas with any of these ingredients are often more user-friendly. Moreover, sunscreens containing these ingredients can be used as an alternative to any products on the U.S. market that contain oxybenzone, an element that has attracted some controversy for its potential effects on female consumers. Some studies found that sunscreens with oxybenzone can cause estrogenic and anti-androgenic effects. Oxybenzone and octinoxate are also being banned in Hawaii because they are dangerous to coral reefs. The cost for American sunscreen companies of getting FDA approval to use these ingredients is what prevents them from being available here. Look for brands in Europe and South America like LaRoche Posay’s Anthelios, Isdin, Avene, Vichy, or Daylong — but many of these have American versions, sometimes packaged to look like their European counterparts. To be sure that you are getting the correct product, make sure to read the ingredient lists, and look for the ingredients listed above. 3. How should sunscreens be applied, including how often? About 20 minutes before you go into the sun, you should apply sunscreen. Obvious regions like arms, legs, face, torso, and shoulders are important to cover, but ears, lips, bald spots, feet, and hands should be paid attention to as well. If you are wearing bracelets, necklaces, anything with straps, make sure the skin under those areas gets sunscreen as well — the sun does not make exceptions! If you are hanging out on the beach or at the pool, and not swimming, you should reapply sunscreen every couple of hours. It is not effective to apply sunscreen first thing in the morning and then not again for the rest of the day, even if you aren’t swimming. However, even water-resistant sunscreen has a time limit in the water. Most last about 40 minutes. If you’re swimming, you should probably reapply when you get out of the water, as moisture and toweling off can remove the protective SPF layer. Also, if you plan to be in and out of the water frequently during the day, rash guard shirts and other protective clothing are an excellent option, especially for children.